One of the most important aspects of how fast a home will sell is how it is staged. Many times the home you are investing in was vacant so you were either left with no furniture or accessories or old junky ones you wouldn’t dream to have in the house. Studies have shown that buyers spend an average of 6 to 9 minutes in an empty home and 40 minutes in a staged home. The reason for this is that a staged home excites the buyers’ imagination. A warm, inviting atmosphere will allow the potential buyer to picture themselves in your home and where there furniture could go. Staging allows them to “mentally move into” the home. Make your rehabbed house memorable by using these quick, easy and affordable staging tips! One of the things that make staged homes look so warm and welcoming is great lighting. This is something that a lot of people don’t think of and it is perhaps one of the cheapest things a seller can do to transform the home. Many homes and many areas of homes are improperly lighted. To remedy the problem, increase the wattage in your lamps and fixtures. Also decide on a natural light; no one wants to see what your home looks like in fluorescent. It is tired and true in almost every artistic aspect. 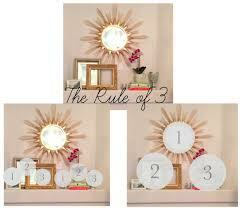 Let the canvas of your home be pleasing with the rule of threes. Especially when it comes to eye-pleasing accessorizing, odd numbers are preferable, especially three. Rather than lining up a trio of accessories in a row, imagine a triangle and place one object at each point. Scale is important, too, so in your group of three put the largest object further back. Although the musty mold originally smelled like money to you, no one wants buy a smelly home. So make sure your house smells and looks fabulous. A professional cleaning will run you about $100. Money well worth spent because you obviously want to clean and deodorize a home that first showing. You can go one step further with the inviting aroma if you bake some cookies in the oven, or bring cinnamon sticks to a slow boil in a pot of water. Having air fresheners in the entrance way is a good idea too. All your bedrooms are empty, and while your budget may allow for a bed in the master bedroom, furnishing the other 2 or 3 is just not. Here’s a quick and cheap trick: purchase an inexpensive air mattress that has a folding frame off the floor. Once the bedding is on and staged, it’s hard to tell the air mattress from a real bed. After the home sells, all you have to do is deflate, fold, and move it to your next flip for sale! Check back for more fix and flip tips. 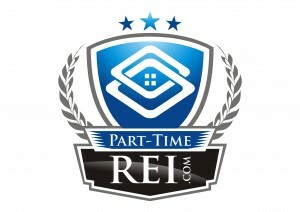 Be sure to like us on Facebook too!